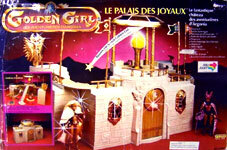 Images on this page thanks to Annee and various eBay sellers! 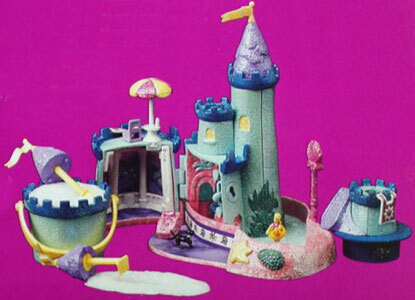 There were three Sunshine Starcastles pictured on the back of packaging as part of the Sunshine Collection, but there was also another castle labeled part of this group too. 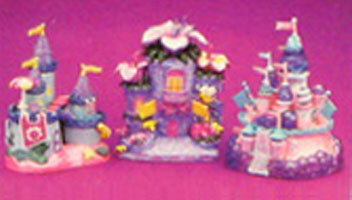 The Sunshine Collection also had three coaches and three lockets. 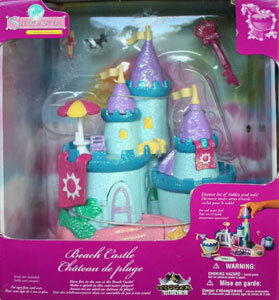 "Create sunshine adventures in a castle that magically reveals tools for playing in the sand! 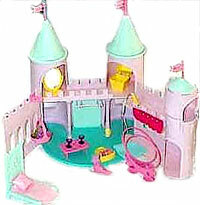 There's a real water playset inside. 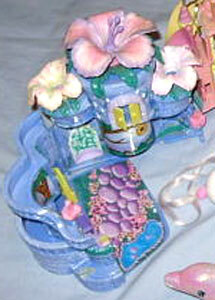 When you make the water bubble, the princess floats along the stream!" 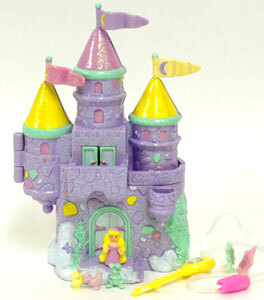 "Discover bubble wands hidden inside the castle towers. 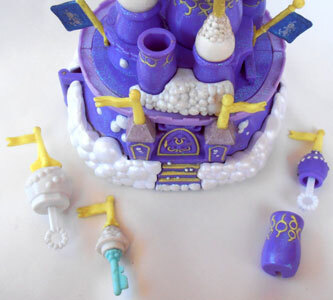 You can make the centre tower blow magical bubbles into the air! 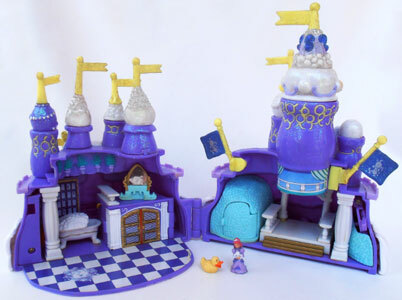 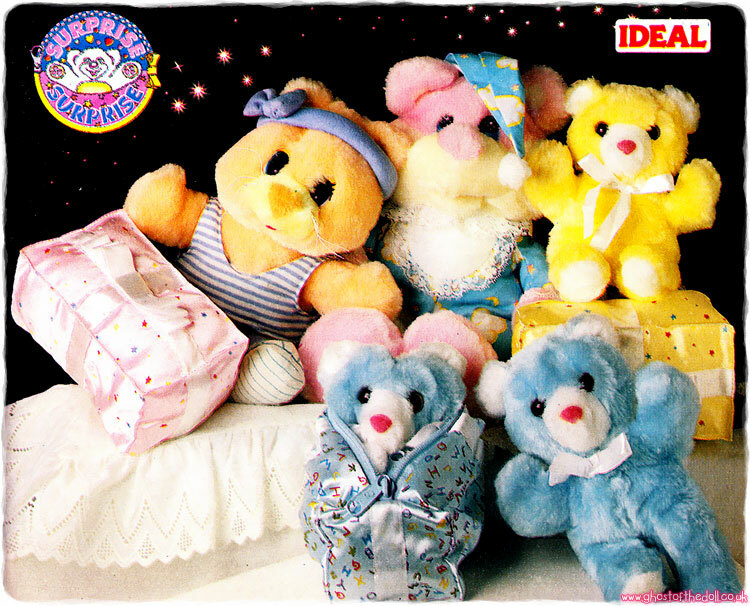 Plus, a bubble bath playset inside!" 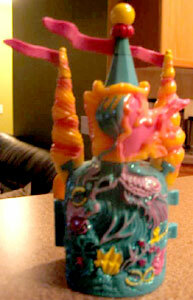 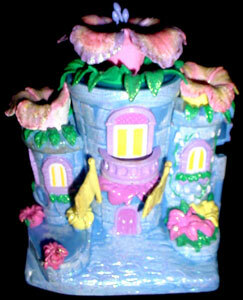 This starcastles mould was used for one of the Stardancer castles (name unconfirmed), in a different colour. 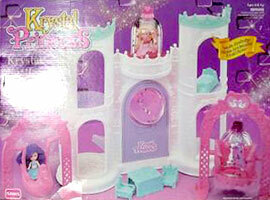 The playset below is coloured quite differently from the publicity image above, maybe it's a variation? 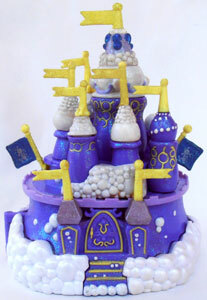 "It's magic! 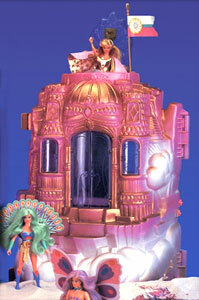 Push the centre tower to release flying butterflies! 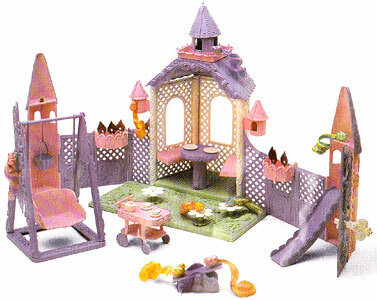 The playset inside is filled with secret compartments, special friends and a fold-out secret garden!" 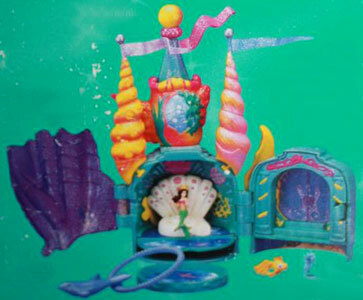 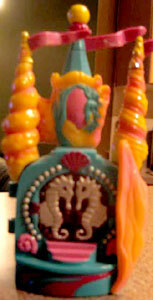 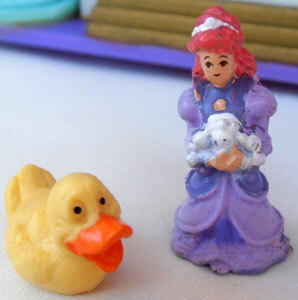 This starcastles mould was used again for the "Gardening Fun Starcastle with Stardancer Doll" playset, in a different colour. 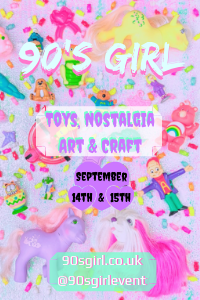 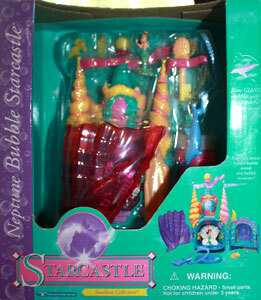 "Join the princess and her friends in her beautiful Neptune Bubble Starcastle! 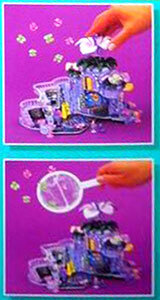 Find hidden bubble wands, containers and more!" 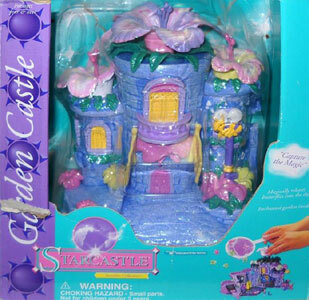 I've also found another Sunshine Collection Starcastle not featured on the packaging image above, so must have been released at a different time.